Two Belgians, one Hungarian and a Luxembourgish. Four musicians enjoying the exploration of a psychedelic blend of rock and trip-hop. At the crossroads of Radiohead, Damon Albarn, Modeselektor and Miles Davis. The narrative of the project is imbued with pictorial and cinematographic works. It is also rooted in a more and more oppressive reality. 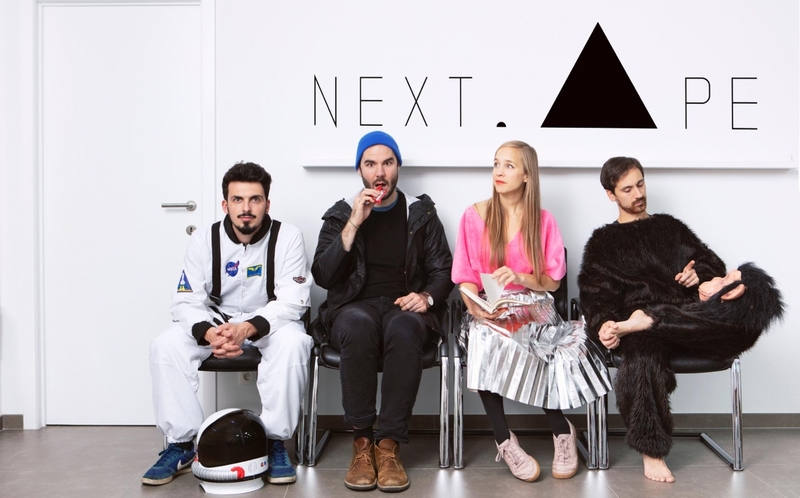 Next.Ape have shaped their sound: a slamming snare drum, a deep bass on the Moog, a distorted guitar, some keyboards and of course a clear and charismatic voice. The groove is hectic and incisive. Improvisations give you goosebumps. It is impossible to remain static or indifferent. Their music just takes you.